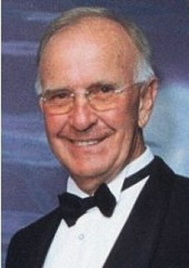 Du Plessis was born on 19 January 1940 in Orlando, Johannesburg and grew up in Boksburg. He matriculated from Voortrekker High School in 1956 and he obtained his B.Sc. degree at Potchefstroom University for Higher Christian Education in 1960. In 1961 he completed his Transvaal Higher Education Diploma. In 1962, du Plessis started teaching mathematics at the Hoër Seunskool Helpmekaar in Johannesburg, as well as at night school at the Johannesburg Technical College. Later in 1962, he applied for a position at the South African Broadcasting Corporation (SABC) and was appointed as the administrative officer to the Chief Engineer. Subsequently, he spent two years in the office of the Director General, where he was involved in committee work and report and speech writing. He resigned from the SABC in 1968 and joined the international computer company, IBM, as Systems Engineer and Marketing Representative in the Banking and Finance Sector, where he worked until 1974. As Chairman of the Students' representative Council at the Potchefstroom Teachers Training College in 1961, Du Plessis took the lead in terminating the automatic Afrikaanse Studentebond membership of students of the College, on account of the ASB's stance on voting rights for Coloureds, as stated by an ASB representative on the College Campus. However, he worked for the NP during the Republic referendum and in 1966 became an official National Party (NP) member when requested to be available for possible nomination to contest a seat in parliament. In 1972, as Ratepayers' representative, he was elected Councillor of the city of Roodepoort; in 1973 as Deputy Mayor and in 1974 as Mayor. In the same year, he stood as the NP candidate in Florida, west of Johannesburg, and took the seat from the United Party (UP). Du Plessis was Information Officer for the NP from 1977 to 1981. In 1982 he was appointed Deputy Minister of Foreign Affairs and Information where he was to handle the government's relationship with the media. In 1983 he was appointed as Minister of Education and Training. He was appointed Minister of Finance in August 1984 and served in this post during the latter part of PW Botha's presidency and early part of FW de Klerk's administration, covering the entire period of total international financial sanctions against South Africa, as well as the international debt standstill, announced in September 1985, when international banks withdrew their funds from the country. In 1988 he became Chairman of the NP Federal Information Committee and in 1989, leader of the National Party (NP) of the Transvaal. In 1990 he made a surprisingly strong showing in the caucus election to choose an NP leader to replace Botha, losing to FW de Klerk by just eight votes. He retired from active politics in 1992.